As in the first article, the author presents Al-Qaida’s strategic plan, beginning with the attacks against American soldiers in Somalia in 1993 up to the present. The author, who is described as a “mujhad” or fighter in the Holy War, even states (apparently on the basis of personal knowledge) that this plan constitutes a continuation of the operational strategy successfully utilized against the Soviet army in Afghanistan. The war, he says, caused the depletion of the Soviet Union’s resources, and ultimately brought about its complete collapse. Here the author draws a comparison regarding the need to continue with the implementation of this plan vis-a-vis the United States, in order to achieve the same results. The Islamic struggle against the United States, like the one against the Soviet Union, is uncompromising; it this war “the end justifies the means,” until the achievement of the anticipated victory. Moreover, the author expresses his complete solidarity with Palestinian men and women who have carried out suicide attacks in Israel, and with the first female (Muslim) Chechen suicide bomber. He regards them, as he does their future emulators (and himself), as the progeny of the great Muslim nation, who represent its aspiration to cast off the yoke of the unbearable and prolonged American hegemony. In addition, he praises Osama bin Ladin in effusive terms (written in the same flowery Arabic used in the rest of the article). Some of these words of praise are generally reserved only for the prophet Muhammad. The author views bin Ladin as the most important modern representative of the Muslim nation—a leader whose greatness almost reaches that of the prophet of Islam. Moreover, Al-Qaida is presented as a most successful and effective tool, which will enable the Muslims to succeed—if they all join forces, with the skilled Holy Warriors (“mujahidin”)—in vanquishing the United States, in the same way that the USSR was defeated in Afghanistan. In other words, the author creates a clear link between the suicide terrorists in Palestine and the Chechens on the one hand, and the Al-Qaida fighters on the other. These are the fighter who are engaged in a battle against the greatest enemies of the Muslim nation in the current era—the Jews, the Americans and the Russians—with the aim of promoting the status of this nation and restoring its glory. Thus, by striking a mortal blow against these enemies, the latest attacks constitute the beginning of the realization of this operational Islamic strategy. The author repeats his violent resentment, worded in the sharpest and most damning terms, against the United States as a state and a society. According to his point of view, the annihilation of the United States (which would also seem to indicate the subsequent destruction of the State of Israel and Russia) is a prerequisite for restoring the former glory of Islam. With this in mind, the article issues a clear call for overall Islamic mobilization, both men and women, to join in the ongoing and armed struggle. This war is to be a multi-dimensional war of terror, meant to inflict massive harm on the foundations of the American society, in the political, economic and military fields. This is out-and-out war, without territorial boundaries or limitations in terms of time, until the goal is achieved. The author discloses—again for the first time—the operational methods of bin Ladin and Al-Qaida in their struggle against the Americans: to slyly lure them into what he describes as a “master-trap.” There they will “sink into the mud” and be annihilated by the courageous Islamic warriors, who will willingly sacrifice themselves “for the sake of Allah” in such a way that they will be ensured automatic arrival in the Garden of Eden. The author views the struggle against the Americans (and against the Jews, their employers) as the response to the heartfelt feelings of the Islamic nation, many of whom, so he claims, were slaughtered by the United States. Moreover, he maintains that the United States also murdered many other people (not necessarily Muslims), so that this struggle is justified and legitimate, because in essence it is a kind of “international guerrilla warfare of the downtrodden” against the United States. This is an unequal campaign, in view of the resources available to the Americans, as compared to the resources at the disposal of the Muslim nation. Therefore, the objective of the armed struggle against the United States is to deplete its military strength, introduce demoralization among its ranks (as was successfully achieved in Somalia), and undermine its high political and economic potential to the point of bankruptcy. This will be achieved by striking out against salient American interests, mainly in areas and sites that are holy to Islam, and which need to be “liberated” by force. Therefore, this complex campaign necessitates the optimal mobilization of Moslem men and women, mainly the youth, who believe in the justice of Al-Qaida’s strategic plan and who will spearhead the battle. The need to conduct this type of campaign has grown due to the negative effects resulting from the penetration of Western culture within the boundaries of Islam, including modern Muslim youth; the attraction to the Western lures makes the Muslim youth forget his roots and inspires him to stray from them. The war against the American (and Jewish) power is also based on al-Qaida’s negative view of the Christian-Jewish religious heritage, the political-democratic concept and the international legitimacy of the West, all of which are seen as threats against Islam. Therefore, this battle would necessitate not only the collective mobilization of Muslims but also extensive intelligence, tactical and ideological preparation, in an effective and practical form. In light of the disproportion between the two sides, it is necessary to train the future Muslim fighters as if they were entering a classic military campaign. The campaign will succeed only by identifying the enemy’s vulnerabilities, finding ways to inflict painful and significant harm, while providing training in combat and instilling in the hearts of the future fighters a feeling for both the Islamic and international mission. From this point of view, the Islamic war against the Americans is to take place both on American soil as well as in Muslim territories; not only in countries like Afghanistan, but also in desert countries like Mauritania. The mention of this last country may teach us of the existing or future presence of entities affiliated with bin Ladin and Al-Qaida. It is also noteworthy that there were reports corroborating this in the past, and those suspected of ties with bin Ladin and Al-Qaida, some of whom were arrested by the authorities, were released or fled the country. Also worthy of note is the fact that the fighting outlined in this document by Al-Qaida or its adherents (such as the author), is not unique to the battle against the “heretic” Americans. On the contrary, in the framework of the proposed struggle, whose first part—the series of terror attacks mentioned in the previous document—has already been implemented, there is a need to create clear distinctions within the Muslim nation itself, between two separate camps: believers and heretics. Here the classic Islamic concept of the division of the world into “the Islamic area” and “the war area” (which is not Muslim) is further refined and givena more stringent modern Islamic inter, which applies it to the internal Muslim arena. This means that the struggle of Al-Qaida is not only against “Jews and Crusaders” but also against Muslims suspected of being apostates, heretics, or corrupt, or those who have “strayed,” due to modern Western influence, and who are affiliated with a faction that is to be banned in principle. Although the author does not state what will happen to this “rebellious” camp, it is reasonable to assume that its fate might be the same as that of the war’s actual objectives (i.e. the Jews and Christians). Ironically (and this might be used for propaganda purposes), this stringent distinction, whose roots lie in radical modern Islamic concepts, creates a kind of “joint fate” among those targeted for a mortal blow among the three monotheistic faiths. In summary, this important document outlines and justifies al-Qaida’s murderous strategy, i.e., determined support for the international Islamic armed struggle accompanied by acts of terror conducted by bin Ladin and the Al-Qaida Organization against various targets around the world over the past decade. This struggle is compared to the struggle of the Palestinian suicide bombers against Israel and the Chechen terrorism against Russia. The author calls out to the Muslim masses to join the struggle in order to complete the mission initiated in Afghanistan against the Soviets; the annihilation of anything that represents American interests (but also Israeli and Russian interests) according to the pattern successfully applied against the Soviet Union. The justification granted to this struggle, despite the inequality in the resources of the two sides, is the need to act according to a strategy of “an eye for an eye.” The Western “temptation” that lures Muslim youth to stray from the path of Islam, exacerbates the inferiority to which the Muslim nation has been reduced in recent times. The response to this is the careful planning and successful implementation of a parallel “enticement” maneuver (operational more than cultural) against the Americans. Therefore, the author raises the issue of the “master-trap” (as he describes it), planned by Al-Qaida, the first part of which has already been executed (or so he maintains) as the surest way to successfully contend with the American threat against the Muslim nation and the entire world. However, this will necessitate an all-out war to the death, which will require personal sacrifice of anyone who responds to the call to raise the banner. 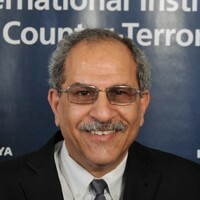 As the author is not sure that this will really happen, he presents what we regard as the terrorist nightmare in terms of a heartfelt wish, whose chances depend upon convincing Muslim successes; this would seem to indicate the perpetration of additional qualitative terror acts, which he proclaims are soon to occur. And finally, it is possible that the document contains a concrete warning regarding future terrorist acts that are to occur in the international arena, primarily against American and Israeli/Jewish targets (and possibly Russian ones), at least, in the near future. Thus, he gives salient expression to the radical and lethal threat that characterizes the “Global Jihad” of Osama bin Ladin and the Al-Qaida school of thought, as expressed by the (repeated) quotation from the Koran at the end of the document. For this reason, we believe that the document’s content should be taken under due consideration and treated seriously (although the identity of the author is still unknown). [Here follows an article] written by the Holy War Fighter (Mujhad): Salem Almakhi. Indeed, I am all of these, and more…I am the nation – its men and women, including its youth and young children…my loins have produced Khowa Braif and Ayat Alahras…in addition, [from inside me] there emerged [also] Ziad Algarah and Hani Khandjor… and from within me [in the future] there will come millions more like them…That is who I am. As to the Americans…or if you prefer, say: scum... a nation of debaucherers…rootless [or: without lineage]…[a nation of] highway robbers…thieves…criminals…butchers of the Indians…slaves of the Jews…stray dogs and pigs for hire…for two hundred years, during which they shed the blood of over 4 million Muslims…[and also] the blood of scores of millions of people. [And now] as to the master-trap…as is widely known, and is spread by word of mouth among the leaders of the-battle-arenas-through-great-self-sacrifice (Padaa) the Al-Qaida organization in Somalia – after it [already] depleted [the strength] of the Americans by [dealing] a blow [upon them] and tearing [them] to pieces, and as a result they ended in fleeing [from there] – he issued to his groups, that fight-the-Holy-War, instructions to conduct kidnapping activities of American soldiers and commanders. And also, they [the men of Al-Qaida] offered the Somalis ten thousand dollars for each American soldier that they will kidnap. This, in their attempt to lure the American forces in[to] the Somali swamp for as extended a period as possible, so that it will be possible to deplete them and then annihilate them inside it, as was done to the Soviet Union in Afghanistan. However, the trauma of Vietnam was still in their [the Americans’] memories. Additionally, the interests of the United States were not essentially harmed in this action arena. Therefore, they fled Somalia. To banish the idol-worshippers (masharkhin) from the Saudi Arabian Peninsula and raise the banner of the liberation of the Muslim holy sites – from the Jews and the Americans. To call the Muslim youth worldwide to rally around the banner, in order to train them in [operating] [various] weapons and [also in] various methods of combat and the thought patterns behind them, and [to] set up [secret] cells throughout the world. Introdthe [Muslim] nation to the true face of its enemy – i.e., the Jews and the Crusaders – and [to] the fact that the struggle against them is eternal. To awaken [anew] hostility in the hearts of Muslim sons [as] in their hearts [their] link with the enemies has been blurred, until [to such an extent that] a generation [of Muslims] has grown up that walks along the paths of the West and covets what it has. Thus it [=that generation] deviates from history, from civilization and from its religion, because it is [poised] overwhelmed [in light of] the rainbow [-the colors] of the American viper. To divide the ranks of the nation into two separate camps: [The camp of] faith and [the camp of] heresy, [in such a way that] will make the philosophers, scholars and supporters of each camp prominent. To expose before the nation the vulnerabilities of its foe, the means to strike it a blow and deplete it, and the ways to annihilate it – both in its own territory and in our deserts. To remove the American fear from the heart of the entire world by the Organization that is limited in the numbers [of its people] and the means [at its disposal]. To put an end to expressions such as “the international legitimacy,” “the democracy,” “the liberty,” etc., to empty them of content and expose their dark face. To lure the American forces into an unequal campaign, in order to deplete the enemy’s resources and ruin it – according to the same pattern as its Russian [=Soviet] predecessor. To initiate a struggle between the American forces and the people of the nation (but not the armies of the rulers. Parenthesis in the original) in the framework of an ongoing campaign without boundaries, that will begin in the United States and spread from Afghanistan to Mauritania. In this way, the [active – in the original: Makauma] Islamic spirit of opposition will rekindle, [during which] the Muslim youth will be armed with weapons. To clarify a very important basic principle: The Al-Qaida [Organization] is not fighting in the name of [or: in the place of] the nation. On the contrary, it constitutes a blessed vanguard of [or: on behalf of] that nation, which guides the way [for it], and illuminates it and [even] leads the nation in striking out at its foe. Have the Americans fallen recently in the trap [placed by the Organization] of Al-Qaida?... And will the men of the nation and its women indeed make every effort to obtain weapons in any way possible, and carry them [with them] to engage in battle and defend their religion, lands and holy sites [against the Americans]?...Just as the Al-Qaida [Organization] has planned it? What I understand – like Loo [i]is Attit Allah or Dr. Muhammd Abbas – [is] that the Americans have indeed swallowed the bait and have fallen in our trap and that [the Organization of] Al-Qaida succeeded in its plans: Thus [in practical terms] the first stage in the plans of [the Organization of] Al-Qaida has been completed…Soon another stage will begin, of which the vanguard force and the nation will be a part, against the Jews and the Americans…And have we purchased weapons and prepared ammunition for the “Jihad on behalf of Allah” (“AlJihad fi savil Allah”)?…He who has not acquired weapons will live to regret it…And he who did purchase it [in practice] has bought himself a place near Allah [=Garden of Eden]. [To quote the Koran]: “Allah, take the lives and property of the believers, so that the Garden of Eden will be for them. [In exchange] they will fight for Allah, they will kill and be killed. This is a promise that obligates him [=Allah], as it says in the Torah, in the New Testament (Evangel) and in the Koran. Is there anyone else who honors his commitment [more than] Allah!? If so, rejoice in the deal you made with him because that is the [greatest] victory. [The Sura Altuba – “the chapter of the repentance (9,111)]. – round parenthesis in the original].